Beef Ribs are… primal. When cooked right, you feel like a caveman chewing off delicious and succulent beef from a massive bone. They are tender and delicious with all the flavor of prime rib and roast beef in one. When you use the right seasoning and quality ingredients, then you are sure to have some smoked beef meat that will make you feel like a king. So how do you actually cook them? Smoking over some quality charcoal! What is a good seasoning for these Smoked Beef Ribs? While there are tons of great seasonings for beef ribs, I highly prefer Jack Daniels Beef Rub. This rub has tons of garlic, black pepper, spice and salt to make that beef really pop with flavor. I make sure to thoroughly season my beef ribs with this Beef Rub on all side as it will stick the the outside layer and make an awesome crust. How do you cook beef ribs? Beef ribs are super easy to cook. While they do take longer than a simple steak, the flavor profile from the smoke and fire are out of this world. You first will smoke them indirectly for 3 hours at 300F. At the end of the first smoke, you will start spraying them with a mixture of White Vinegar and Jack Daniels Whiskey. Smoke them for another 3 hours at 300F until they hit an internal temp of 205F. Wrap them is tin foil or butcher paper and add them to a cooler for an hour to cool down. The cooler will really help the beef ribs slowly cool so it does not lose all the juices in the process. Pull them out and start slicing! What else will make these Smoked Beef Ribs great? You have to make sure you use all natural lump charcoal like Cowboy Charcoal. 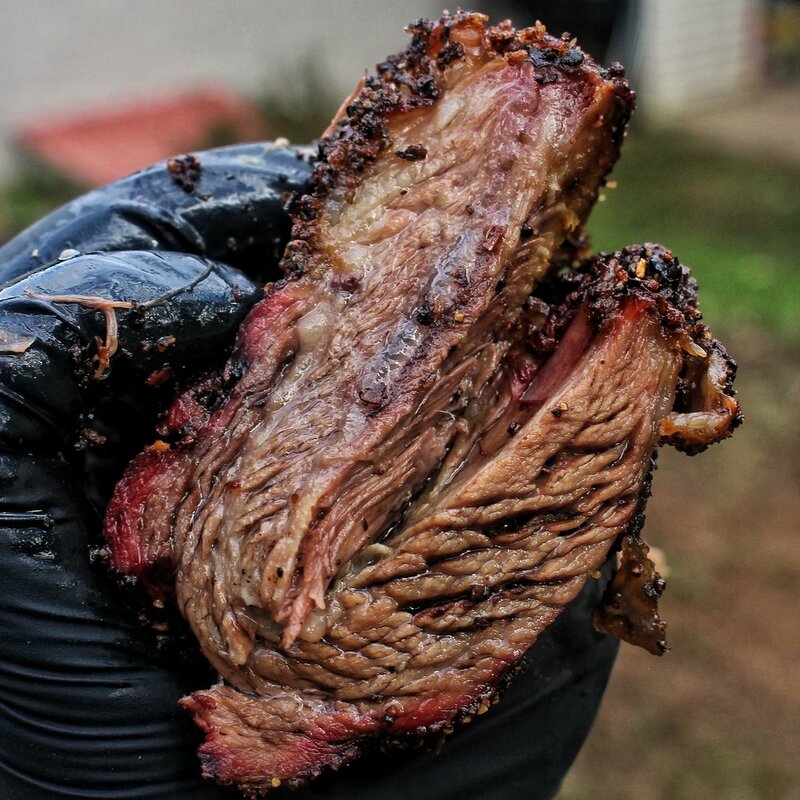 Since the beef ribs will be in there with the fire and smoke for 6 hours, then you are gonna want to have high quality flavor added to the meat. Pick some Western BBQ Pecan wood chips as well to add to your fire to get a subtle yet sweet flavor on the crust. Slowly Smoked Jack Daniels Beef Ribs are perfect for a hearty and adventurous dinner. Try them out now! Use some Cowboy Southern Style Hardwood Lump Charcoal to light fire and let burn for 10-15 minutes. Once Charcoal is white hot, push into two separate piles for 2-zone grilling. 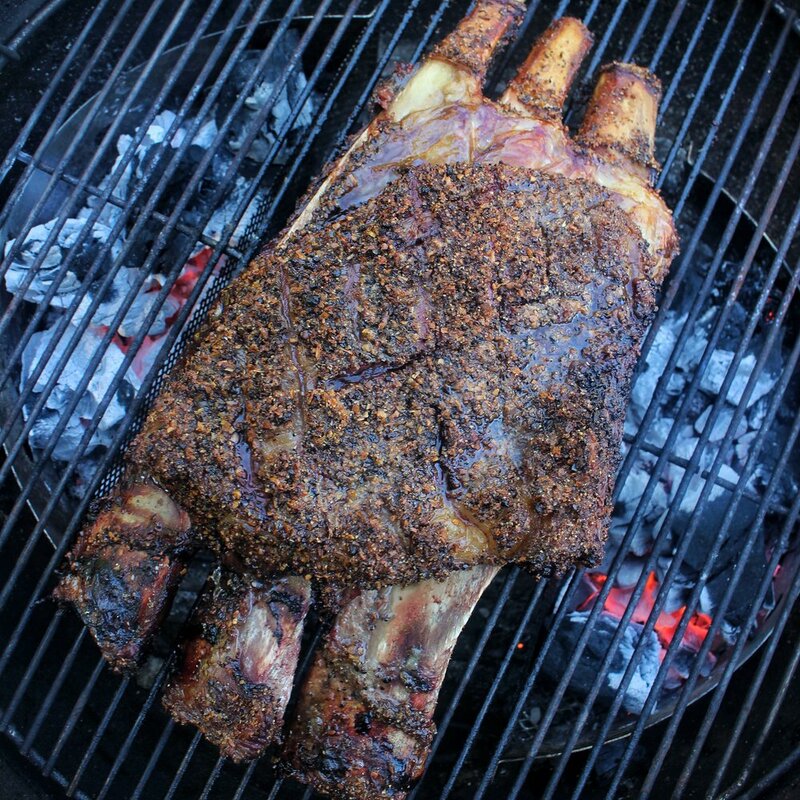 With beef rib plate, score the top layer of fat and season using Jack Daniels Beef Rub thoroughly. When fire hits a consistent 300F, add beef rib plate to grill and additional add some Western BBQ Pecan wood chips. Let smoke for 3 hours. Once it has smoked for 3 hours, add some white vinegar and Jack Daniels whiskey to a squirt bottle and spray the beef down every hour on the hour for the next 3 hours until the internal temperature hits 205F. When the beef hits the right internal temperature, pull off grill and wrap in tin foil or parchment paper. Put the beef ribs into a well insulated cooler for an additional 1 hour to let rest. Pull ribs out, slice and enjoy! Equipment: Cowboy Charcoal, Western BBQ Pecan Wood Chips, Smoker, and Squirt Bottle.